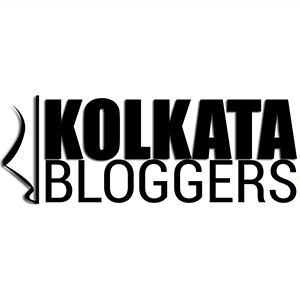 If you like to eat and live in the City of Kolkata you are spoilt for choice nowadays. Lots of new place are opening up and one of them is We.Desi. I was invited as part of a Bloggers Table when they opened in September but regretfully was unable to make it due to work commitments. Thereafter they diligently kept in touch and I finally went across a couple of weeks back for dinner. We walked in and I loved the quaint and quirky interiors done up in Black and White. Arrestingly striking and quite unique. The big fan on the wall mesmerized me. Shivangi Bhambani introduced herself to us and she came across as extremely warm and so we settled down for a nice chat. An M Phil in Economics who has opened a restaurant that has loads of Desi Swag and showcases food from around the country. It was such an interesting combination that I was immediately intrigued. Shivangi’s spouse Nikhil was her biggest support and is the Managing Director of Shehnaz Hotel Pvt Ltd and We.Desi is a part of the group. The little touches like the original newspapers displaying important historic headlines that are decades old, the block printed pictures on the walls and all the little special touches created a pleasing ambience. Those of you who know me know I have both studied and worked in Delhi and Gurgaon and I have a soft spot for the place and the food. We started our dinner with Palak Chaat and Bread Pakora which was specially ordered on my request. The Chaat was plated up in a little street push cart or “thela” and the Bread Pakoras in a typical aluminium Dabba (box), the kind we used when we were kids. Both were delicious and I was happy munching away on them. We.Desi has these great Cutting Chai Set Meals which consist of your choice of pakoras ,rolls, kulchinis, vadas and so on served with unlimited cutting chai. What I would call fun dining! The Vada Pao which I tasted on a later date was really good too and I will definitely go back for more soon. The Palak Chaat and once again the Papdi Chaat which I sampled on another day were both very good. Then came the wonderfully plated Talwari Murgh Malai Kebab which certainly lived up to it name. Delicious, Juicy and melt in your mouth Chicken Kebabs plated uniquely on a mock sword (Talwar). We gobbled it down in record time. Our main course followed with a super Amritsari Kulcha served with the Chutney that had a lovely tang to it and thanks be to the minutely chopped onion in it texture as well , this was as close to the original as I have had in Kolkata and I loved it. The Laccha Paratha was also excellent and both the flatbreads paired perfectly with the Purani Dilli Degh Mutton, Murgh Methi Bharta and Chicken Tikka Masala. Delicious and I truly felt I was back North. But the Mutton Khichada was yet to come and was comfortingly good. Add a drop of ghee and some lemon, some coriander and the browned onions and get lost in its rustic and robust flavors. They also served us a lovely Papad Platter (another weakness of mine) and I was happily satiated with my dinner. Suneha had a bad cold and they made her a lovely hot toddy that soothed her throat and she raved about it long after the meal was over. Dessert followed and both the Chia Seed Phirnee Pannacotta and the Nolen Gur ka Sandook came beautifully plated. The Pannacotta was nice in terms of the flavor but it was slightly too dense, I enjoyed the texture of the Chia Seeds. The Nolen Gur ka Sandook was quite different. A huge Nolen Gur Sandesh covered with squares of dark and white chocolate to give a checkered design. Not too sweet and something that was a nice foil to the meal we had just eaten. Another concept they have “ desified “ and which sounded really good was their Curryaki Meal Concept where they have a separate counter like a Teppanyaki Counter manned by a Chef who serves up a set meal consisting of Soup / Salad / Curryaki (option of Subz,Paneer,Chicken or Prawn) , Dal Tadka , Tawa Rice and Dessert. It’s a fun interactive experience for a group and the Chef prepares your meal right in front of you. I really enjoyed my evening at We.Desi , if you like North Indian food don’t miss out on a meal here. I will certainly be back specially for the Talwari Murgh Malai Kebab and the Chicken Tikka Masala both of which were very good not to forget the Amritsari Kulcha. DISCLAIMER : I was invited to dine at We.Desi as a guest of The Management but the views expressed are entirely my own.